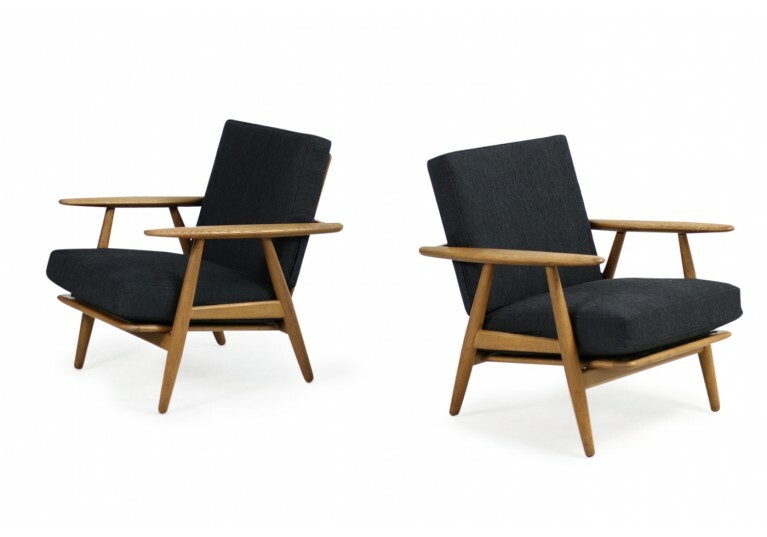 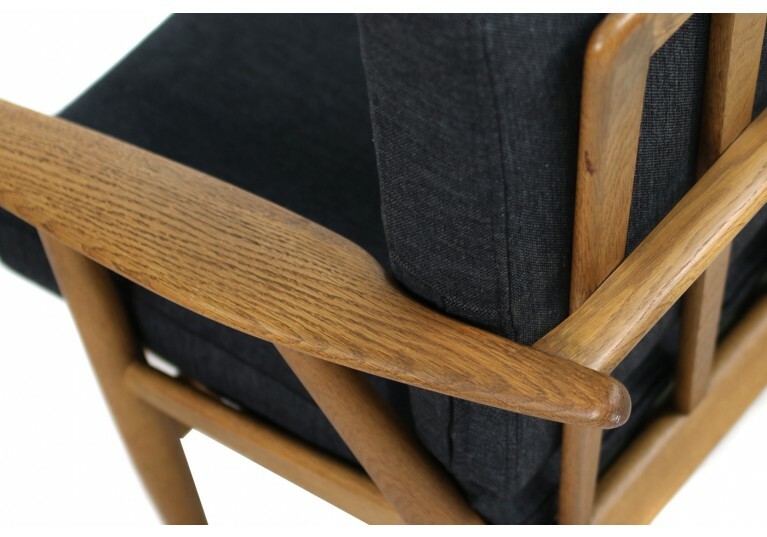 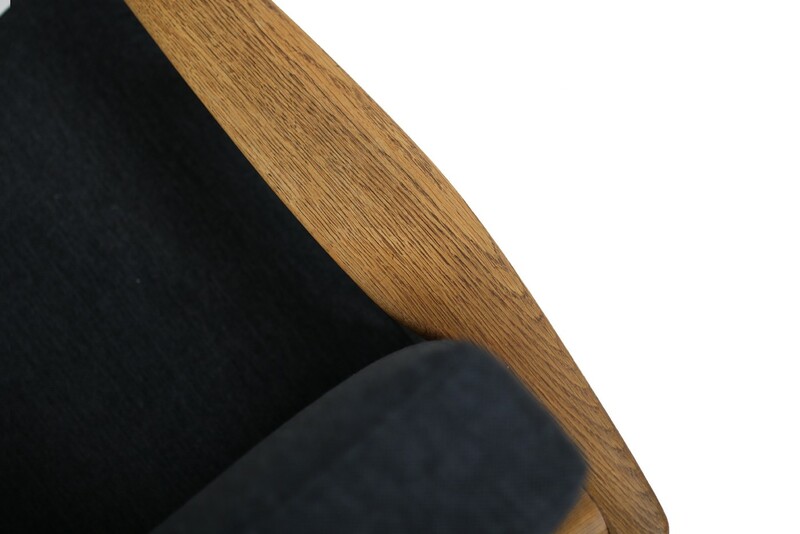 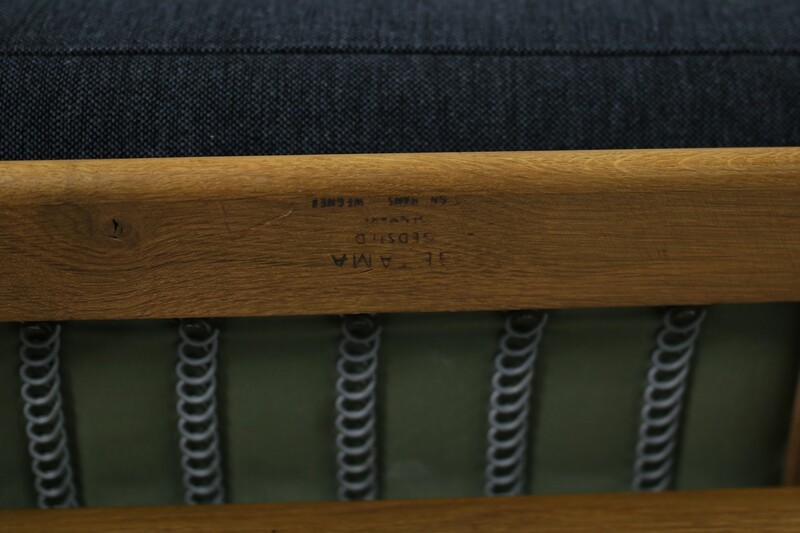 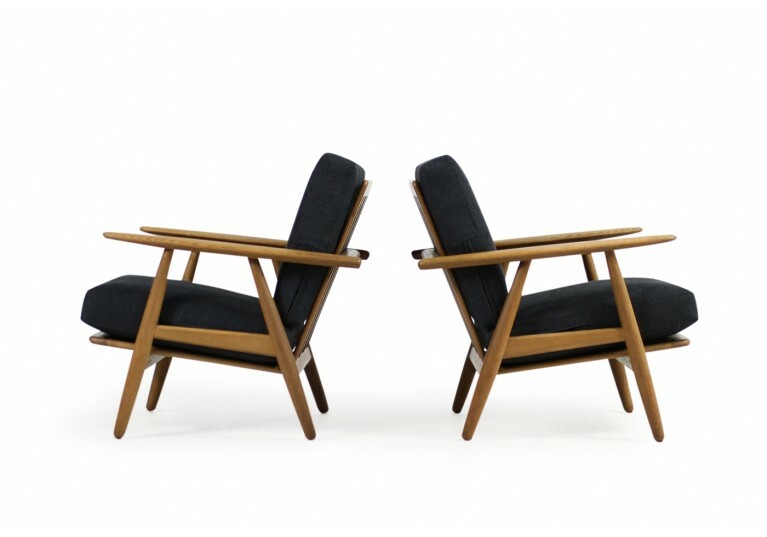 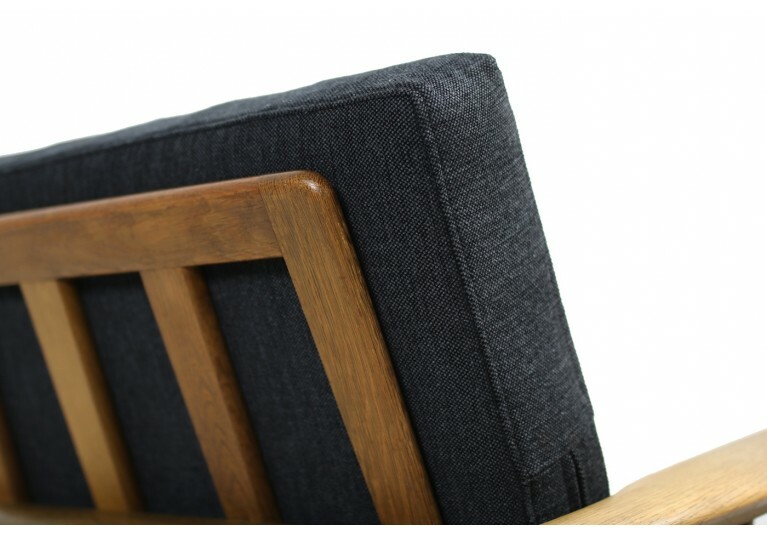 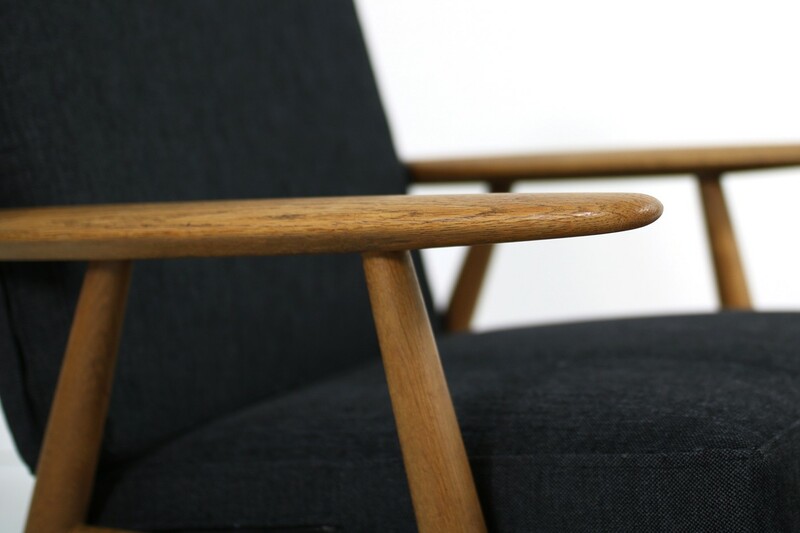 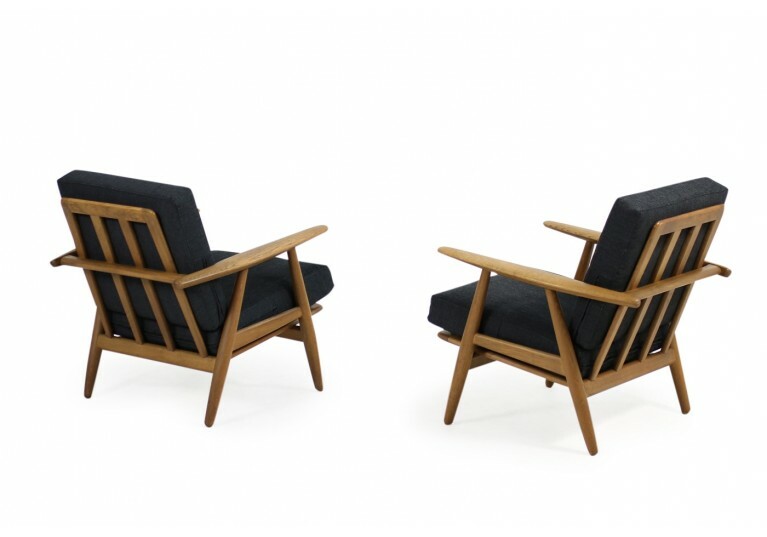 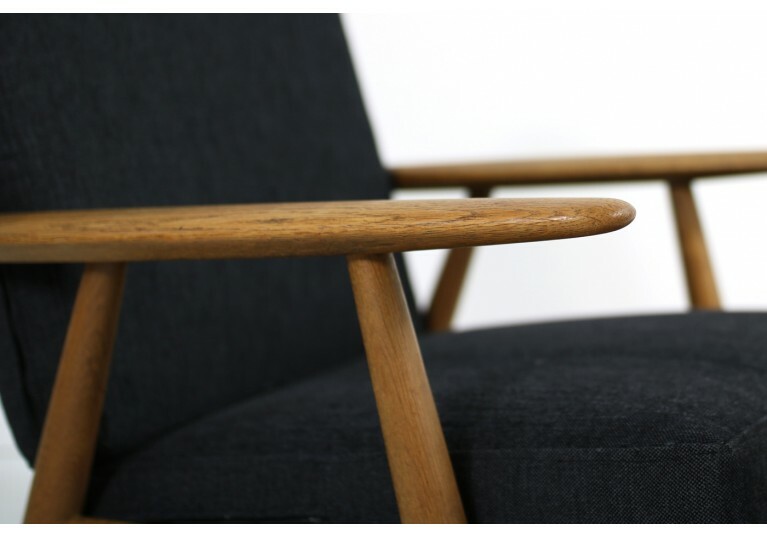 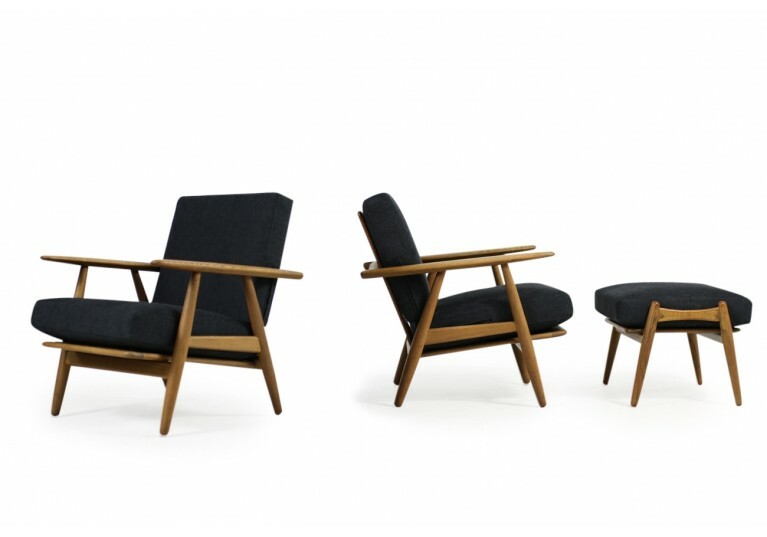 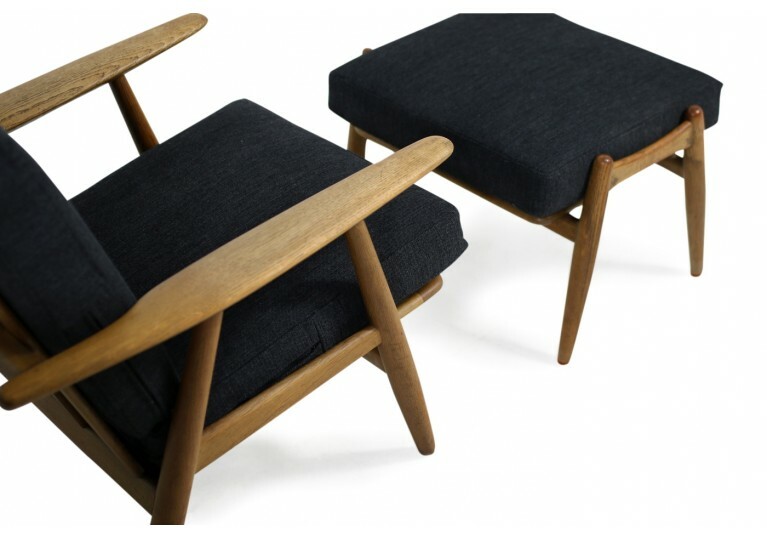 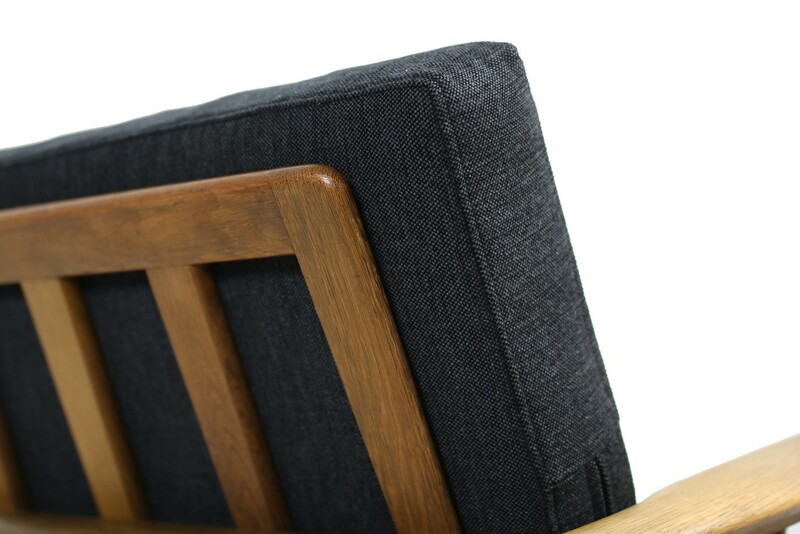 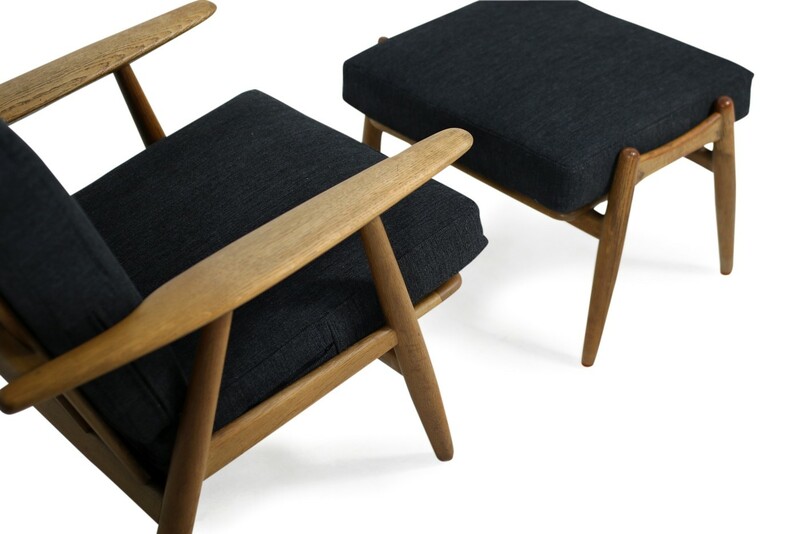 Beautiful pair of Hans Wegner 1950s cigar easy chairs with the rare ottoman, manufactured by Getama Denmark Mod. 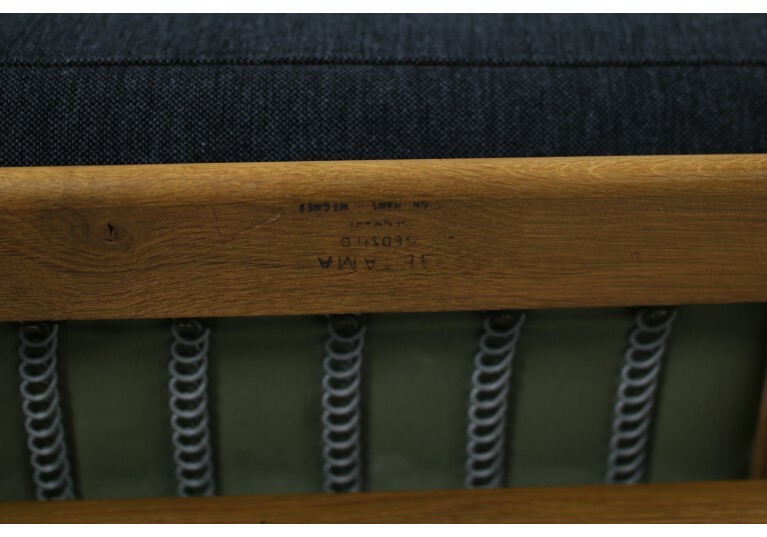 GE 240 Very good condition, renewed upper spring cushions, upholstery in very good condition, high quality linen woven fabric. 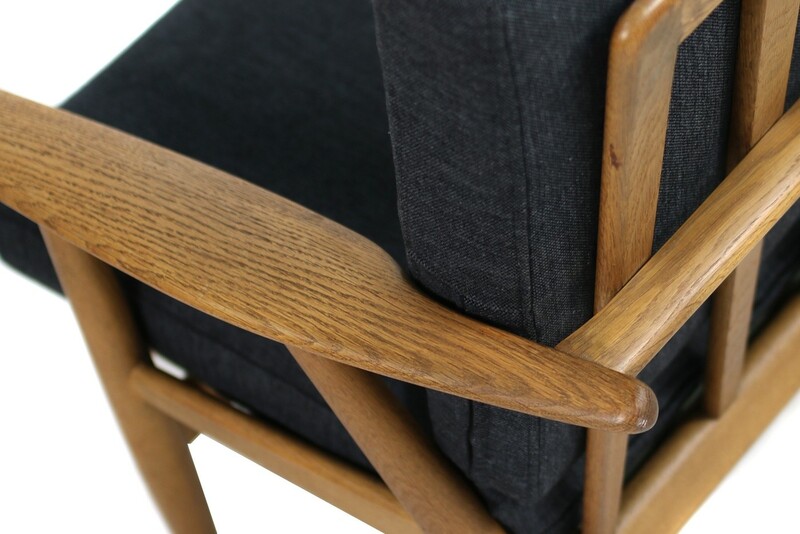 Early edition of oak frames, beautiful.